Weather forecasters will soon provide instant assessments of global warming’s influence on extreme events. The Northern Hemisphere is sweating through another unusually hot summer. Japan has declared its record temperatures a natural disaster. Europe is baking under prolonged heat, with destructive wildfires in Greece and, unusually, the Arctic. And drought-fuelled wildfires are spreading in the western United States. 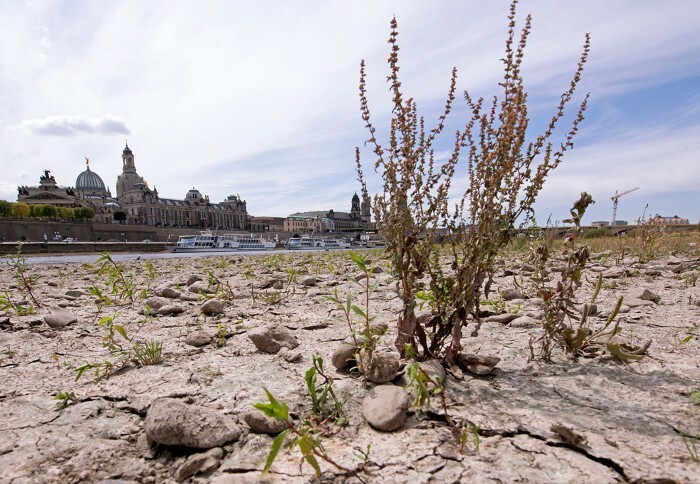 For Friederike Otto, a climate modeller at the University of Oxford, UK, the past week has been a frenzy, as journalists clamoured for her views on climate change’s role in the summer heat. “It’s been mad,” she says. The usual scientific response is that severe heatwaves will become more frequent because of global warming. But Otto and her colleagues wanted to answer a more particular question: how had climate change influenced this specific heatwave? After three days’ work with computer models, they announced on 27 July that their preliminary analysis for northern Europe suggests that climate change made the heatwave more than twice as likely to occur in many places. Soon, journalists might be able to get this kind of quick-fire analysis routinely from weather agencies, rather than on an ad hoc basis from academics. With Otto’s help, Germany’s national weather agency is preparing to be the first in the world to offer rapid assessments of global warming’s connection to particular meteorological events. By 2019 or 2020, the agency hopes to post its findings on social media almost instantly, with full public reports following one or two weeks after an event. “We want to quantify the influence of climate change on any atmospheric conditions that might bring extreme weather to Germany or central Europe,” says Paul Becker, vice-president of the weather agency, which is based in Offenbach. “The science is ripe to start doing it”. The European Union is interested too. The European Centre for Medium-Range Weather Forecasts (ECMWF) in Reading, UK, is preparing to pilot a similar programme by 2020 that will seek to attribute extreme events, such as heatwaves or floods, to human-induced climate change. If that works well, a regular EU attribution service could be in place a year or two later, says Richard Dee, head of the EU’s Copernicus Climate Change Service at the ECMWF. “It’s ambitious, but doable,” says Otto, who is also helping to set up the EU effort. The idea behind attribution science is simple enough. Disasters such as record-breaking heatwaves and extreme rainfall are likely to become more common because the build-up of greenhouse gases is altering the atmosphere. Warmer air contains more water vapour and stores more energy; the increasing temperatures can also change large-scale atmospheric circulation patterns. But extreme weather can also arise from natural cycles, such as the El Niño phenomenon that periodically warms sea surface temperatures in the tropical Pacific Ocean. Researchers say that teasing out the role of human-induced global warming — as opposed to natural fluctuations — in individual weather extremes will help city planners, engineers and home-owners to understand which kinds of floods, droughts and other weather calamities are increasing in risk. And surveys suggest that people are more likely to support policies focused on adapting to climate-change impacts when they have just experienced extreme weather, so quickly verifying a connection between a regional event and climate change, or ruling it out, could be particularly effective3. Otto, the deputy director of the University of Oxford’s Environmental Change Institute, is a veteran of attribution science, having conducted more than two dozen analyses. On 4 June, for instance, she and her colleagues completed a study focused on the southern edge of Africa, which had been suffering from a three-year drought. By early this year, the situation had become so dire in South Africa’s Western Cape Province that officials in Cape Town had warned they would soon hit ‘Day Zero’, when the region would run out of water to serve basic needs — a first for a major city. As reports of Day Zero made international headlines, Otto and Mark New, a climate scientist at the University of Cape Town, decided that the event was a good candidate for an attribution study. Working in their spare time because they had no dedicated funding for the project, researchers from the Netherlands, South Africa, the United States and the United Kingdom started by defining the regional extent of the multi-year drought. They also created an index of its severity, which combined measurements of rainfall and heat. Then, the teams turned to the workhorses of attribution studies: complex computer models that mimic Earth’s climate. On each of five independent models, they ran thousands of simulations. Some of these took into account observed levels of human-generated greenhouse gases; others ran with natural concentrations of the gases, as if the Industrial Revolution had never happened. The researchers compared how many times a drought of similar severity and extent turned up in the thousands of test runs. Most of the teams used their own dedicated computers, but the Oxford branch of the study conducted its simulations on the weather@home model ensemble, a distributed computing framework that uses the idle time of thousands of volunteers’ personal computers. By the time the team met in June, rains had returned to South Africa and had pushed Day Zero away. But the scientists were still chasing the causes of the mega-drought, which could help to determine whether the region might face a repeat anytime soon. Coordinating a four-way Skype call from her office in Oxford, Otto looked relieved when colleagues agreed that the analysis had yielded a result. “Global warming has tripled the odds of three consecutive dry years in the region,” she says. The findings came just in time for Roop Singh, a climate-risk adviser at the Red Cross Red Crescent Climate Centre in The Hague, the Netherlands, to present the results at a conference on climate-change adaptation in Cape Town two weeks later. 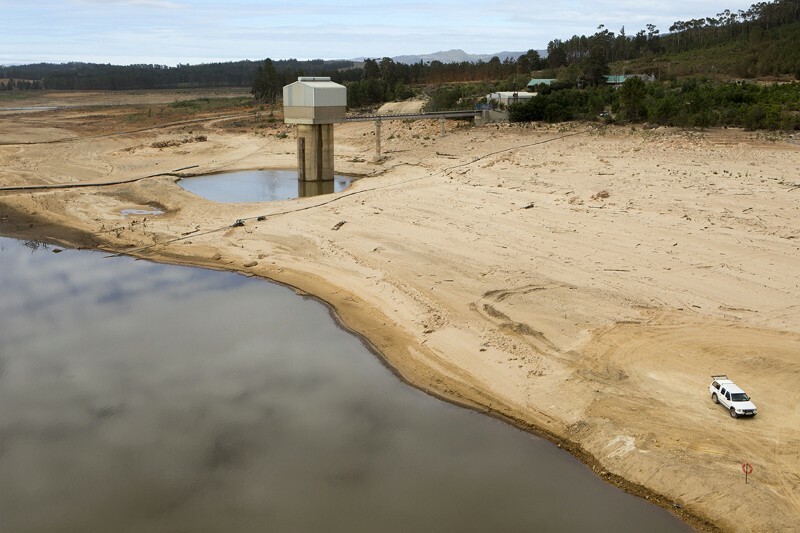 Researchers there didn’t find the results particularly shocking, Singh says — but they did trigger lively discussions about whether the increase in drought risk could help to justify increased investment in diversifying water sources in Cape Town. Otto’s study was published on 13 July, before peer review, at the website of World Weather Attribution, a partnership of six research institutes (including the University of Oxford) that joined together in 2014 to analyse and communicate the possible effect of climate change on extreme weather events. Although Cape Town avoided Day Zero this year, policymakers in the region say Otto’s results send a sobering warning to water authorities that might be inclined to downplay the risk of global warming. “This is an incredibly strong message which we cannot afford to ignore,” says Helen Davies, director of green economy in the Western Cape Government’s Department of Economic Development and Tourism. “We may need to work on a radically new approach to water management,” she says. The work by Otto’s team joins a rapidly growing corpus of studies on climate attribution. From 2004 to mid-2018, scientists published more than 170 reports covering 190 extreme weather events around the world, according to an analysis by Nature, which builds on previous work by the publication CarbonBrief. 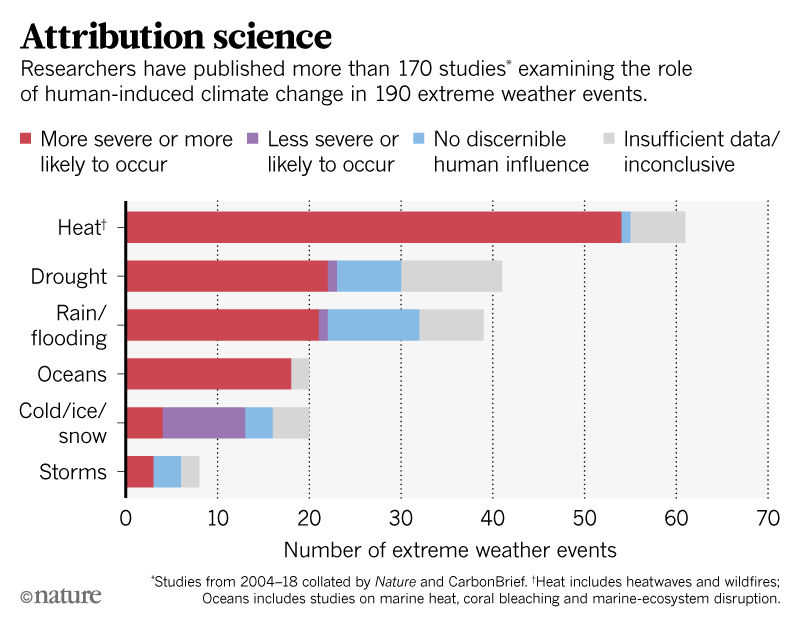 So far, the findings suggest that around two-thirds of extreme weather events studied were made more likely, or more severe, by human-induced climate change (see ‘Attribution science’). Heat extremes made up more than 43% of these kinds of events, followed by droughts (18%) and extreme rain or flooding (17%). In 2017, for the first time, studies even stated that three extreme events would not have occurred without climate change: heatwaves in Asia4 in 2016, global record heat in the same year5, and marine warming in the Gulf of Alaska and the Bering Sea6 from 2014–16. But in 29% of cases in Nature’s analysis, the available evidence either showed no clear human influence or was too inconclusive for scientists to make any judgement. Sometimes studies seem to come to opposite conclusions about a particular event. 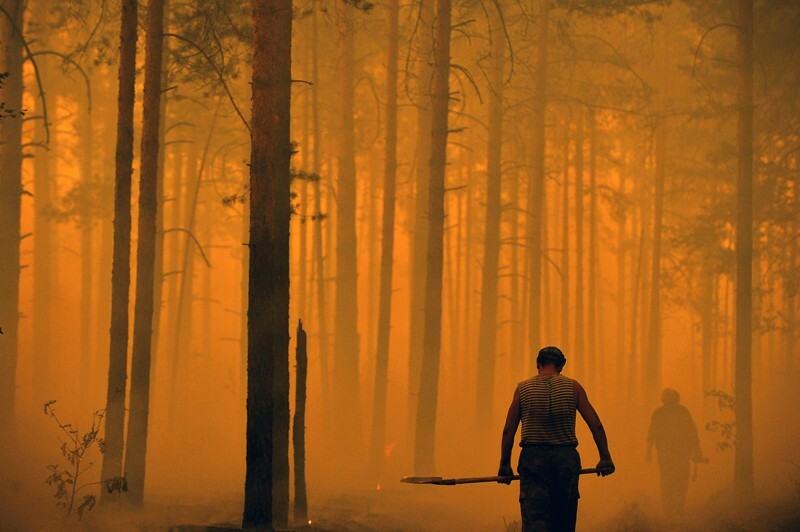 One study about a 2010 heatwave in Russia found that its severity was still within the bounds of natural variability7; another analysis determined that climate change had made the event more likely to occur8. The media found the results confusing, but climate scientists say the discrepancy is not surprising because the two studies looked at different issues: severity and frequency9. According to Otto, “The example goes to show that framing and communicating attribution questions is a real challenge.” But researchers have become more sophisticated since then about how they set up and present their studies, she adds. The South Africa study could have been done faster, had the researchers been able to spend all their time on it. This year’s work during the European heatwave was not the first rapid study: in 2015, for instance, during another sweltering heatwave in Europe, an international team of researchers (including Otto) found within weeks how climate change had made comparable heatwaves four times more likely in some European cities, and at least twice as likely over much of the continent. Meteorological agencies plan to work even faster when they put these experimental methods into regular operation. Over the past few months, Otto has talked extensively with the staff of the German weather service, briefing them on how to conduct attribution studies using the best approaches. On 21 June, she signed an agreement with the agency that provides free use of the University of Oxford’s weather@home model. Meanwhile, the Copernicus Climate Change Service has asked Otto and two of her colleagues to write a paper describing workflows and methods for conducting rapid attribution studies, to be published by September. Otto says a rapid attribution service is needed because questions about the role of climate change are regularly asked in the immediate aftermath of extreme weather events. “If we scientists don’t say anything, other people will answer that question not based on scientific evidence, but on whatever their agenda is. So if we want science to be part of the discussion that is happening, we need to say something fast,” she says. Some scientists might feel uncomfortable if weather forecasters announce results before work has gone through peer review. But in these cases, the methods have already been extensively reviewed, says Gabriele Hegerl, a climate scientist at the University of Edinburgh, UK. Hegerl is also a co-author of a 2016 report by the US National Academies, which concluded that the science of attribution has advanced rapidly and would benefit from being linked to operational weather prediction. “It can be really useful to have results quickly available for event types we understand reasonably well, such as heatwaves,” she says. “You don’t need to peer review the weather forecast,” adds Otto. But not all of the science involved in attribution studies is settled, Hegerl says. Computer algorithms still struggle to model severe local storms that result from the rapid convection of air, such as small hailstorms and tornadoes, so scientists can’t say whether climate change has made these events more likely. Reliable attribution is also difficult or even impossible where long-term climate records are still lacking, such as in some African countries. And there might still be natural climate variability that is not fully visible in the relatively short record of direct climate observations. To trace very-long-term climate fluctuations — such as those caused by changes in atmospheric-pressure patterns or sea surface temperatures that cycle once every few decades — researchers must rely on low-resolution proxy data, such as from tree rings. That this variability doesn’t always show up in direct observations does create some uncertainty in studies, particularly for research on drought attribution, says Erich Fischer, a climate scientist at the Swiss Federal Institute of Technology in Zurich. In South Africa, Davies says Otto’s latest study should help to press the case for new approaches to regional water management. “Meteorologists assured us after the second year of drought that there was no way we were going to have a third dry year in a row. But we can’t use the past any more for what might happen in the future. We need to learn to adapt to a changing climate, and we absolutely need attribution to do it right.” One of the lessons of the recent drought and the attribution analysis is that the Western Cape should not rely solely on rainfall to replenish its water supply, she says. Instead, it should diversify by tapping groundwater and expanding its desalination and waste-water treatment facilities. But, in general, it’s hard to know what effect attribution studies are having, social scientists say. That’s because it is difficult to tease out the impacts of these findings from other studies that forecast increased risks of extreme weather associated with climate change — or from the shock of the weather events themselves. Still, if attribution studies start appearing regularly in weather reports, rather than just in scientific journals, then their impacts could become much more conspicuous, says Jörn Birkmann, an expert in spatial and regional planning at the University of Stuttgart in Germany. 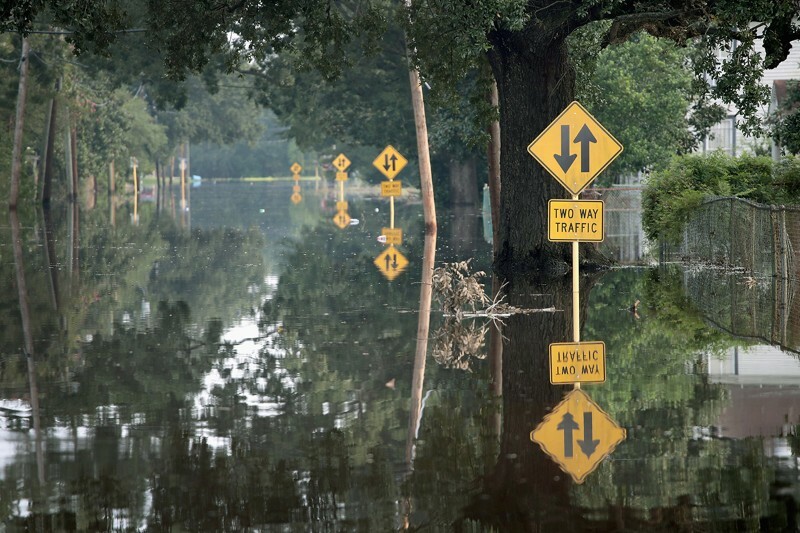 “City and infrastructure planners who plan and approve new housing areas, hospitals or train stations need to consider risks of extreme weather events more precisely if these events are clearly attributed to climate change,” he says.